when we open a new account in facebook it is public to all i.e anyone having a facebook account can view the contents of your account not necessary that he/she is in your friend list. Now sometimes situations arises such that your friend list has became so vast that you don’t want to keep that figure public and it is also not necessary that your friends have to know the friends of your. Here comes the term privacy. Now the question is how to apply privacy???? Here is a simple and easy technique to apply it……. 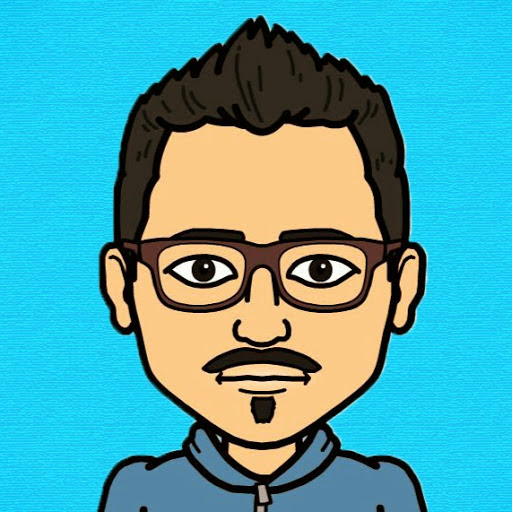 With due respect I want to comment on the fact that the privacy provided by facebook is not enough because by simply knowing some programming techniques it can be easily broken down. Now when the word comes for friends it is sometimes necessary to hide some of your friends from others i.e you donot want some of your friends to know that you are in friends with some other anything may be the reason whether it be personal or bla bla bla. Now sometimes you also want to hide the mutual friend term but it is not possible to hide your mutual friends only. In this case two choices arises to a user . one is that only your friends can see your friend list or it is open to everyone. The the thing is not that who are able to see your friends or who are not able to see it. If anyone is a mutual friend of your friend and he is not in your friend list he is also able to see your full friend list unless you do something. You can only able them to see who is a mutual friend to him . Another possible way is that you hide all your friends from everyone. Now if you are eager enough to do this you will not find it easily and it is not the fault of yours because fb changes it privacy settings frequently. To get started with it you should keep the knowledge that apart from friends you are also having facebook followers. Now you should keep the knowledge of your fb followers i.e who can exactly follow you on facebook and actually what fb followers are. So if are not having any knowledge of the so called facebook followers then if should read about them in the facebook helpdesk. For an example facebook followers are those people on your account who can only see your public posts . now in simple words when some people send you friend requests and you deny to ascess it then those people by clicking the follow buttom in your facebook account becomes your followers. Click on the friends tab and then on the pen icon where you get the chance to edit your privacy…..
Now you are in a situation to control your privacy for your friends and also your followers. If you are willing to hide your friend and follower list from everyone the the option only me should be choosen. By choosing this option no one would get the opportunity to see your whole friend list but the people who are in mutual friends relation with you would be still able to see it so it is not fully privacy . 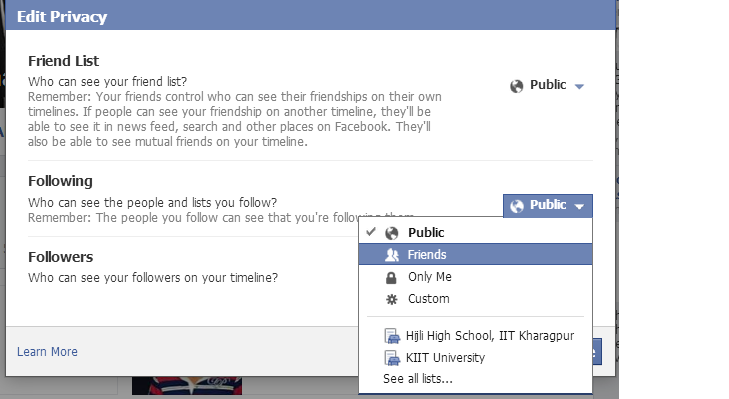 If you wish to hide your facebook friends from a certain number of friends then there is also an option to do so. For that you have to choose the option custom and completely specify who you exactly want to hide your friendlist. Here you are also getting an option where you can set a list of people who you want to make your friends visible. Now the situation comes when you just want to hide your friend list from a certain group of people , then you need not to type their name one by one you can just use your friend list. If you are not well accompanied enough to do so then you should read using and creating friendlist in facebook.